Lately Business Insider (BI) has been announcing the imminent death of Android based on iPhone and iPad sales, reported disinterest in the platform by developers, and upset manufacturers. 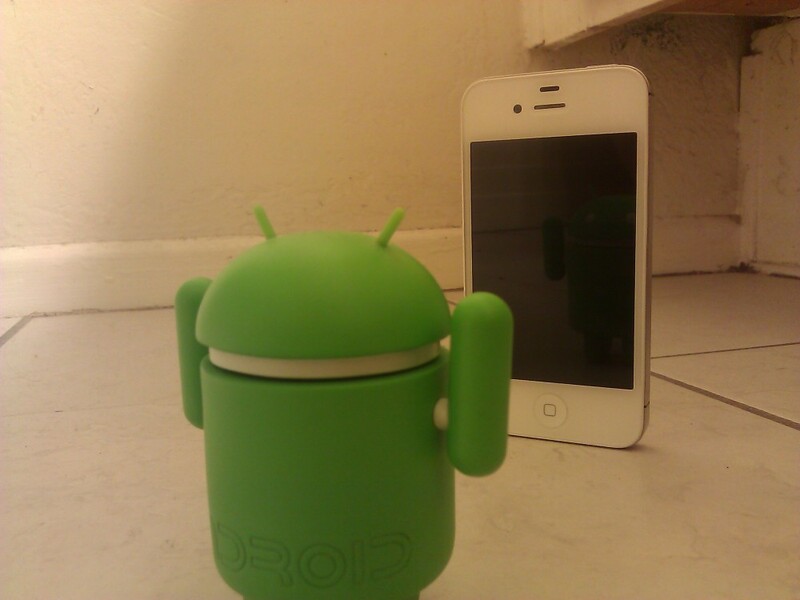 According to a handful of their writers, Android is poised to lose market share to both iOS and Windows Phone. Is the end near for Android? A couple of these writers are right to point out that the continued great sales of the iPhone and the iPad spell trouble for Android. While Android has continued to hold its own in the phone space despite carriers like Verizon selling more iPhones than all Android phones combined for two quarters, Android has been a disaster in the tablet space. Despite two major versions of Android for tablets, consumers have not taken to Google’s vision of how a tablet should look and feel. Based on analysts’ estimates, the Kindle Fire is the best selling Android tablet with 54% of the Android tablet market. Why hasn’t Android been successful in the tablet space like it has been in the phone space? BI rightly identifies that Apple partnering with AT&T exclusively likely had much to do with Android’s success, but the tablet market is not the phone market. I am convinced that Android has not been successful in the tablet space because Android is significantly better on phones compared to tablets. The reason people are buying Fires is because they are cheap and the UI is dirt simple if inelegant. I cannot emphasize enough how certain I am that the main reason people buy Fires is because of the price, not the quality of the product. People are buying the Fire over a Galaxy Tab or Transformer because it is cheaper and good enough. So why are people buying iPads over Tabs and Transformers? Because at that price the iPad has a better ecosystem and experience. So how does Google break into the tablet space? Make a product that is significantly better than the iPad. This isn’t rocket science. People aren’t buying Android tablets because they are around the same price as the iPad, which offers a better experience. Honeycomb was rushed, jittery, and buggy. Google should have waited to release it. ICS is gorgeous on phones, but just as disjointed as Honeycomb on tablets. The Kindle Fire may be the best selling Android tablet, but that doesn’t make it a strong competitor with the iPad. The only way to fight the iPad is with a better product. Why did consumers buy the DROID instead of a Blackberry or a Touch Pro2 or Pre Plus? Because the DROID offered an obviously superior experience. Now that Android and iOS are in parity on phones, Google needs to ensure that the Android tablet ecosystem and experience are in parity or give up on tablets. BI argues that developers are becoming less interested in Android based on Instagram trying to sell itself for $500 million before the Android version was released, thereby insisting that it was valuable enough without an Android version. Louis goes even further, arguing that developers will soon be leaving Android for Windows Phone. Both of these arguments are insane to me. BI readily admits that the massive number of Instagram downloads on Android influenced Facebook’s decision to double Instagram’s initial evaluation, but he doesn’t give it enough credit. It’s one thing to pay more than the company is supposed to be worth, but to double the value is significant. Facebook has a ton of money, but that doesn’t mean it can just throw $1 billion around without consequence. Facebook clearly recognized that with an Android app it could reach far more users (and ensure that it would control Instagram instead of Twitter). Based on BI’s own numbers, interest in Android development has hardly waned while Windows Phone and iOS have plateaued and Blackberry has plummeted. In general Android users don’t buy as many apps as iPhone users, but because of Android’s volume of users developers are still able to make money through ad sales. While developers may be more interested in platforms where their apps are actually purchased, the alternatives are two: iOS and Windows Phone. Many developers write apps for both iOS and Android to cover the largest number of users, but I can’t imagine why developers would start to favor Windows Phone over Android. Even if Windows Phone users were more prone to buy apps than Android users, the insignificant number of Windows Phone users don’t justify the switch in emphasis. The final threat to Android is manufacturer discontent with Google buying Motorola. According to BI’s sources, manufacturers are considering forking Android or leaving for Windows Phone to avoid favoritism by Google towards Motorola. The question is, why would manufacturers like HTC and Samsung try their luck with forking or leaving Android? While the Fire has been successful, it hasn’t been successful because it was a forked version of Android. It has been successful because a company that people actually recognized sold a cheap Android tablet. Forking Android wouldn’t solve any manufacturers worries – they’d still have to compete with Motorola and Google on top of competing with Apple. Forking Android may allow manufacturers to make their skins more integrated, but it would mean relying on the Amazon App Store (or their own forked app store). Unless forking Android meant creating an obviously superior experience then it doesn’t make sense for manufacturers to fork Android. The even more insane option would be for manufacturers to leave Android, the only thing making them money, for Windows Phone. Windows Phone doesn’t have a large user base and doesn’t offer an ecosystem or experience that is competitive with iOS or Android. More importantly, shifting to Microsoft puts manufacturers in the same situation they’re facing with Google thanks to the Nokia-Microsoft partnership (Microkia? Nokisoft?). Why be in the same situation with fewer users? Even if Google does favor Motorola, manufacturers don’t have any appealing alternatives to Android under Google’s approval. Is Android coming to an end? Not at all, but that doesn’t mean that Google has an easy road ahead of them. The reality is that the issues brought up by Business Insider are real (blown out of proportion, but real). Google needs to do better in the tablet space, maintain good developer relations, and continue to support its OEM partners. iOS is a growing threat in the phone space and continues to dominate in the tablet space. Developers may need to support Android now, but its possible that Microsoft or Google (or another party) could disrupt the ecosystem. Google also needs to be careful with how it uses Motorola so that it doesn’t upset the Android ecosystem by trying to compete with its partners. Android has a long future ahead of it, but it is a future lined with problems that need to be addressed by Google.